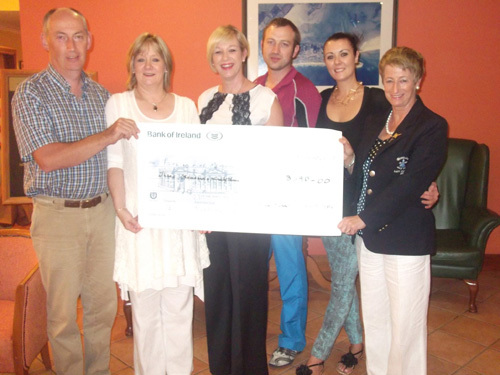 We attended a cheque presentation last Tuesday night (13th August 2013) to The Aoife and Aine Kennedy Memorial fund. Very moving words were given by Moira Fortune, lady captain of Rosslare Golf Club. A total of €3,098 was presented to us and the proceeds are going into St. Gabriels ward in Wexford Hospital. The day was sponsored by John Fortune and Co. and it truly was a remarkable sum. The same amount went to Women’s Refuge another worthy cause.